The origins of the club are in about 1978 when Molly & Ken Barton, landlords at the Park Hotel, Park Road, Gosport (now the Park Tavern), started Jazz nights with bands including Cuff Billett, Doug & Dory Whitfield, Monty Sunshine, Bob Jenkins, Teddy Layton, Chris Newman, with Nat Gonella giving guest appearances. This gave Nat a new lease of life. He appeared regularly and featured on Radio Victory with Cuff where Nat is particularly remembered singing “Miss Otis Regrets. When Molly & Ken moved to Farnborough in about 1981, Pat & Tony Wing took over organising the Jazz nights and began calling it Gosport Jazz Club for the first time. This started at Kelly’s Hotel for a short time, then moved to Gosport Borough Football Club and then to the Thorngate Halls. Tony and Pat ran the Club for about 26 years and we are very grateful to them for the continuation of Trad Jazz in Gosport. In 2007 Terry Hinkley took over responsibility from Tony and in January 2011 the Club moved to its present Venue of Gosport & Fareham Rugby Club. However, in June 2012 Terry suffered health problems and a Committee, comprised of members, took over responsibility for running the Club, as is currently the situation. Tony Wing and Terry Hinckley are Honorary Presidents of the Club. 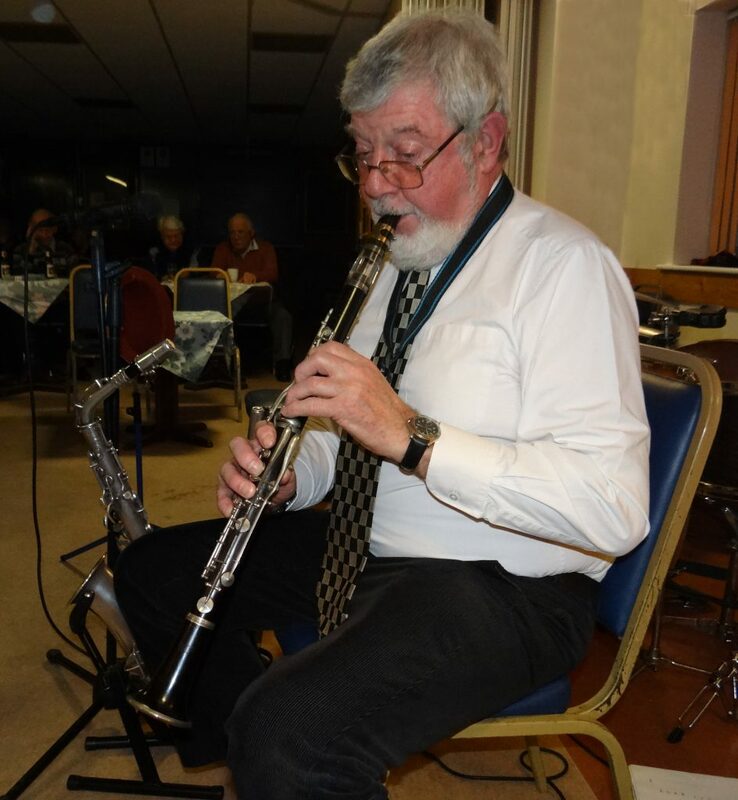 Long before that, Club member Maurice Kemp remembers jazz record recitals being held at Privett School which preceded the founding by Vic Brown and others of the Downbeat Club which ran weekly, live, mainly Trad Jazz events, from 1957 to the mid 1960s. There was no active Jazz-based organisation in Gosport from the mid-1960s to 1981. Further information about the activities of the Downbeat Club is given by following this link as a Word document, or in Portable Document Format (.pdf). 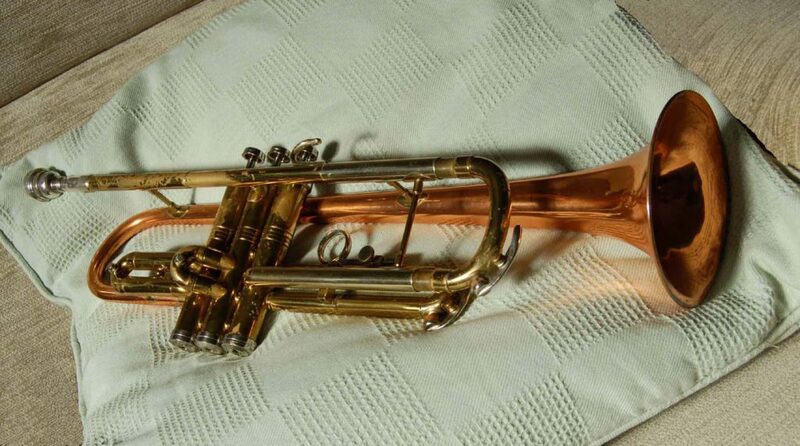 Gosport was fortunate to have been the home since the early 1970s of the legendary trumpet player, Nat Gonella, and he was a member at the club for most of that time, until his death in 1998. For further information on Nat and this period in his life see the attached extract from the 2005 biography by Ron Brown and Digby Fairweather – Nat Gonella: A Life in Jazz. And read the Nat Gonell biography as a Word document or in Portable Document Format. A Nat Gonella commemorative gig is held in March of every year, near to the date of his birthday. 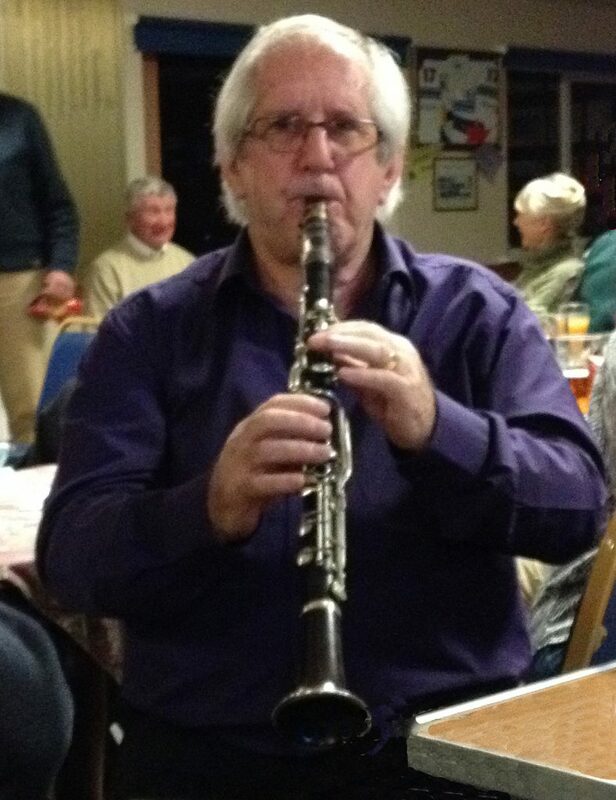 Not so well known is that Nat also played the Clarinet and the Club was fortunate enough to be able to obtain this instrument in December 2014 together with proof of his one-time ownership of it. See the photos below. The Clarinet has been donated to Gosport Discovery Centre and has been displayed there since December 2015.